Kenya plans to set up a gold refinery to help small scale miners in the west of the country, the Petroleum and Mining Ministry said on Friday, and the government is seeking consultants to advise on its construction. Goldplat plc (LON:GDP) is an AIM quoted gold producer with two market leading recovery operations in South Africa and Ghana and an operational gold mine in Kenya. 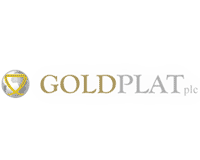 The Company produced 42,857 ounces of gold during FY 2017, with 40,285 gold equivalent ounces sold and transferred, resulting in an operating profit from continuing operations of £2.9m for the year. This result does not benefit from the increased processing capacity that was achieved at the Kilimapesa Gold Mine towards the end of FY 2017, with operational profitability achieved during last two months of FY 2017. Accordingly, the Company believes it is well placed to build upon production and profitability during FY 2018.